How many acres are needed for different property uses, picking the right contractor, plus a look at what women are bringing to agriculture. Women all across the nation are making their country dreams a reality. 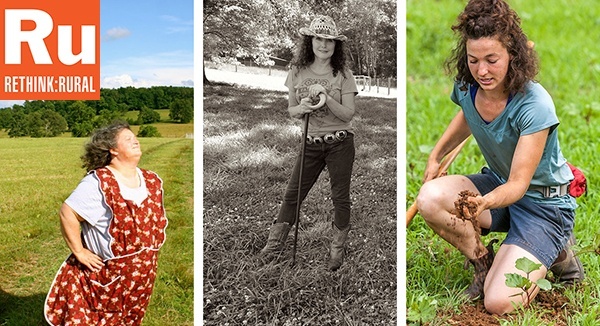 Read our real life stories from women farmers and homesteaders throughout the South. Amy Fewell, a mom who left her hectic lifestyle for a healthier, more natural environment after her son was diagnosed with asthma. Cyndi Ball and Trina Reynolds, leaders of Ladies Homestead Gathering, a national nonprofit filling a need for community among female homesteaders. Mardi Jo Link, author of the book Bootstrapper, who made things work on her farm with her three boys after her divorce. Jenna Woginrich, a single woman who raises animals (and has studied falconry) in New York state and has written 5 books about her adventures. 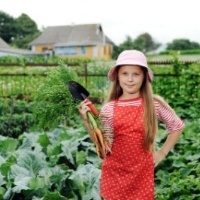 Brinton Fox, a young farmer in her 20s who chose the profession because of her passion for healthier food choices. And that's just the beginning of the exciting stories we have to share with you this month. Look below for more fascinating country folks, tips on getting fit in the country and an overview of how many acres you may need for different land uses and how to find the right contractor. How can we help you make your escape to the country? Email your questions to info@rethinkrural.com. Once you find your perfect property and purchase it, the real work begins. If you hire a contractor to do anything, from clearing your trees to building your house, the quality of that individual's work impacts everything. Use these expert tips to help you find the right one. Read More. 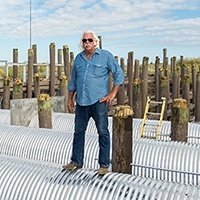 Lake Charles, Louisiana, land investor Tal McCain shares his fascinating story, from dropping out of school to creating a multimillion-dollar business after inventing a technique that's saving the bayou. Read More. How Many Acres Do You Need? This Rethink:Rural series is one of our most popular to date: First, we explain how big an acre is in a quick video. Then, choose from several articles in which country folks explain how much acreage they found they needed for a hobby farm, recreational retreat, cattle farm and more. Read More. Forget paying monthly fees to work out at a gym: Burn your calories naturally in the country. You won't believe how many calories you'll burn by gardening, chopping wood, horseback riding and other activies. Read More. You're ready to look at several properties for sale, so how do you keep track of the facts for each one? Use our printable checklist to ensure you keep the details of each property straight -- and don't forget to check on important details. Get it here.